The Town of Granite Quarry is holding a Day in the Garden at Granite Lake Park. The event will be Saturday, May 4, 2019 from 8am- 1pm. There is no fee for vendors to set up and sell at this event, but you must register in advance. 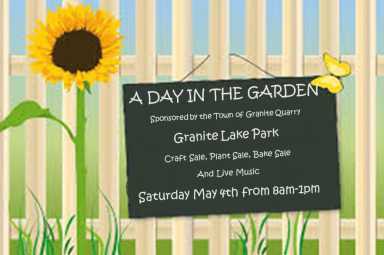 We will have food, crafts, plants and live entertainment. We hope to see you there!